This hymn was translated from part of a satiric poem of almost three thousand lines, "De Contemptu Mundi" ("the contemptable world"), written around 1145 by the twelfth-century monk Bernard of Cluny. Not to be confused with Bernard of Clairvaux, Bernard of Cluny is thought to have been born in Murles, France, supposedly of English parents. He spent the greater part of his adult life in the famous monastery of Cluny during the time that Peter the Venerable was its abbot (1122-1156). Founded in 910 with high standards of monastic observance, the monastery was wealthy--its abbey, with splendid worship services, was the largest of its time. In the twelfth century there were more than three hundred monasteries that had adopted the Cluny order. During his life Bernard was known for his published sermons and his piety, but his lasting fame rests on "De Contemptu Mundi." In that poem Bernard applied dactylic hexameter (six groups of triplets) and intricate internal rhyme schemes to satirize the evils of his culture, as well as those of the church and his own monastery. Amazed at his own skill and discipline, Bernard said, "Unless the Spirit of wisdom and understanding had flowed in upon me, I could not have put together so long a work in so difficult a meter." To put sin in sharp relief, Bernard began his poem by focusing on the glories of heaven. Seven hundred years later Richard C. Trench published the initial stanzas of the Poem, beginning "Urbs Sion aurea, patria lactea," in his Sacred Latin Poetry (1849). John M. Neale (PHH 342) translated this portion of the poem into English and published it in his Medieval Hymns and Sequences (1851). Neale made revisions and additions to his earlier free translation when he published it in his The Rhythm of Bernard (1858). 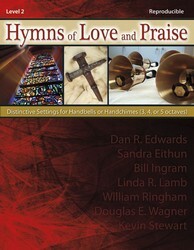 The text found in the Psalter Hymnal is the most popular of the four hymns derived from Neale's translation. Any service in which the new creation (as symbolized in the celestial city) is the theme; as a song of comfort and hope; for meditation. Alexander Ewing (b. Old Aachar, Aberdeen, Scotland, 1830; d. Taunton, Somerset, England, 1895) originally composed EWING for "For Thee, O Dear, Dear Country," another hymn taken from Neale's translation of Bernard's poem. 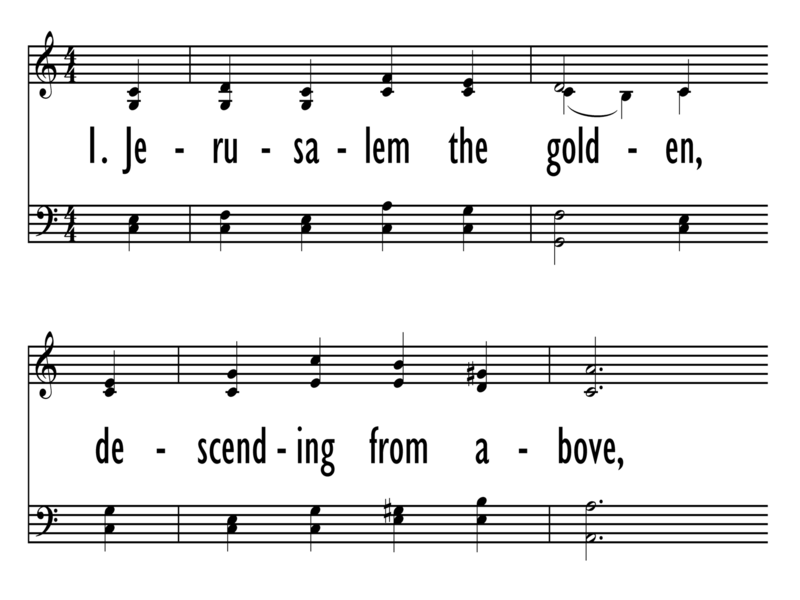 At first in triple meter, the tune was sung to that text by the Aberdeen Harmonic Choir (of which Ewing was a member) and published in leaflet form in 1853 and in Grey's Manual of Psalms and Hymn-Tunes (1857). After having studied law, German, and music, Ewing served in the British army during the Crimean War and in the foreign service in Australia and China. An accomplished amateur musician (an excellent pianist), he was active in the Haydn Society of Aberdeen and in the Aberdeen Harmonic Choir. Ewing is known today only because of the one popular tune named after him. EWING was recast into duple meter by William H. Monk (PHH 332) and set to “Jerusalem the Golden” in Hymns Ancient and Modern (1861). A strong tune for this text, EWING has a wide compass and a glorious ascent in its third line. Sing in harmony with robust dignity.